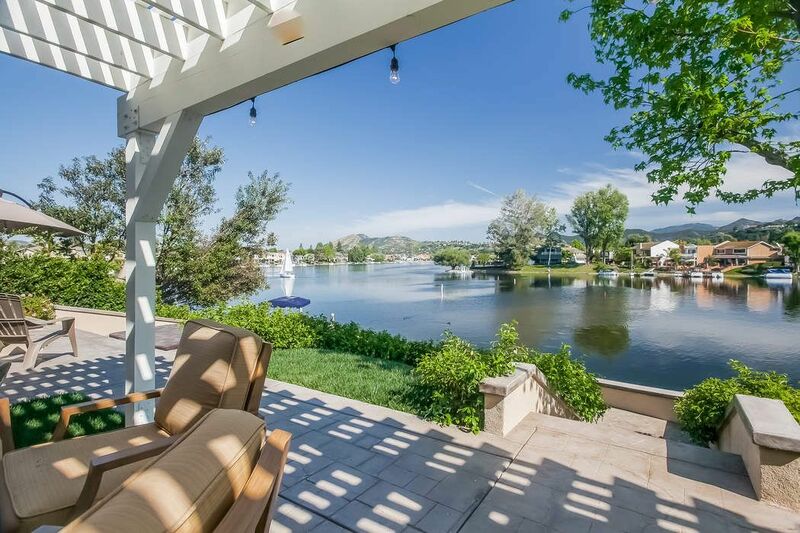 2267 Westshore Lane, Westlake Village, CA 91361 | Sotheby's International Realty, Inc.
$1,769,000 3 Bedrooms3 Full Baths2,051 sq. 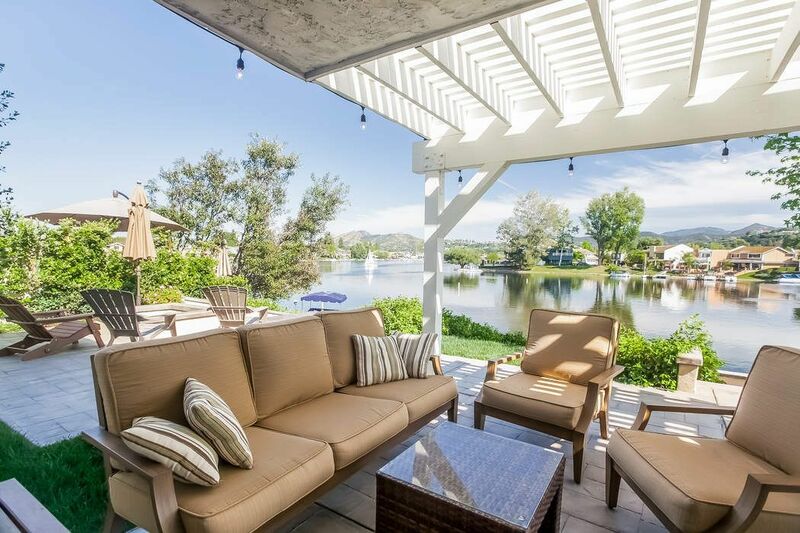 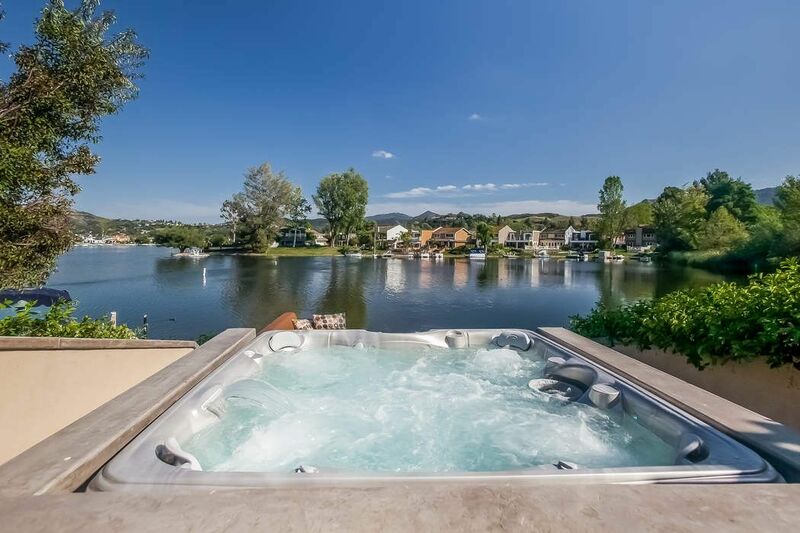 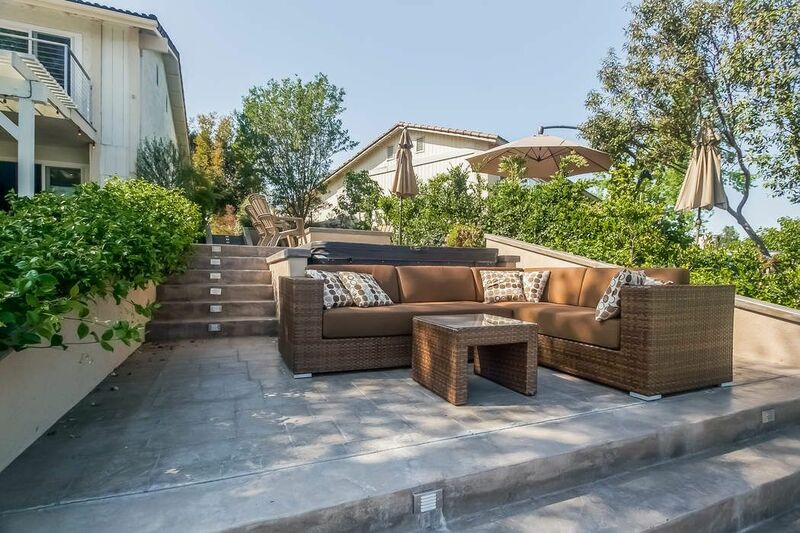 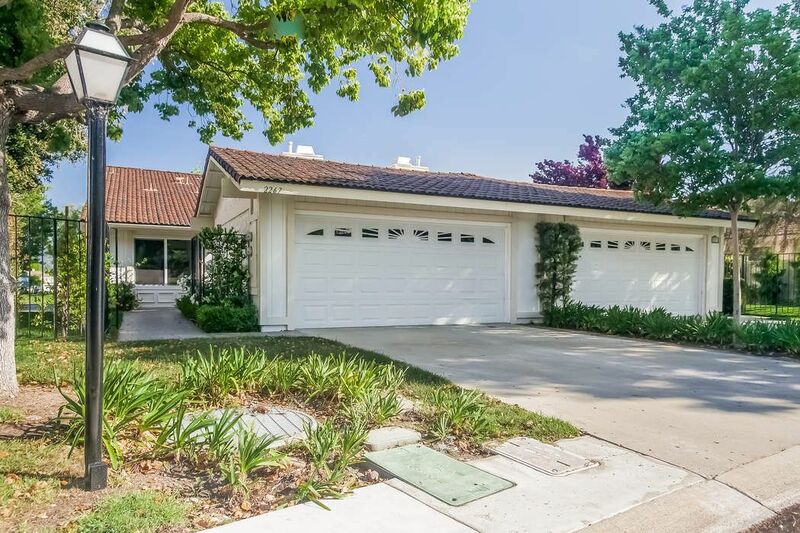 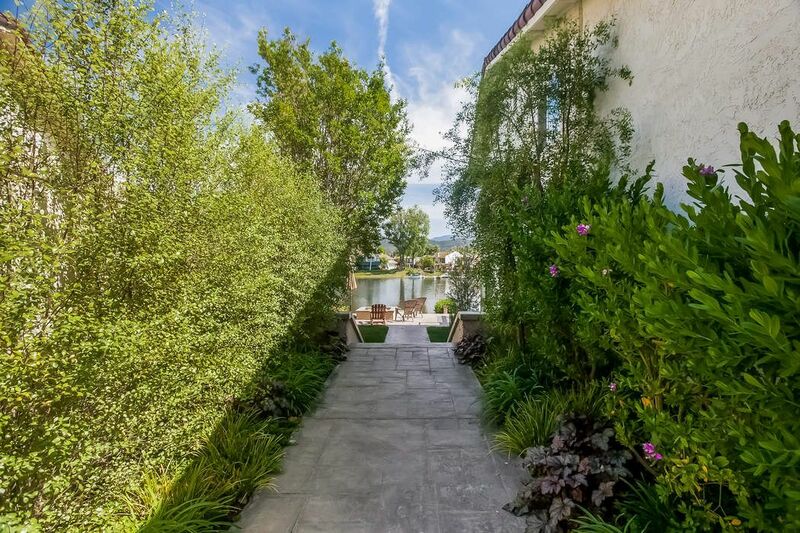 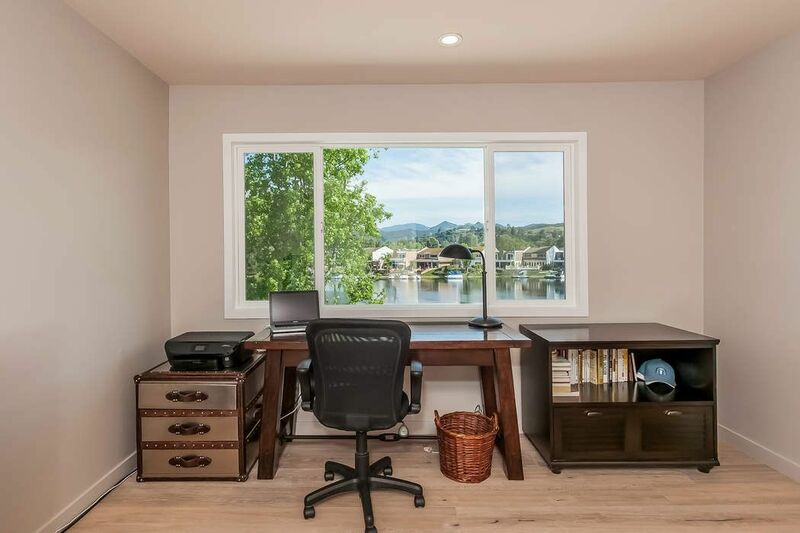 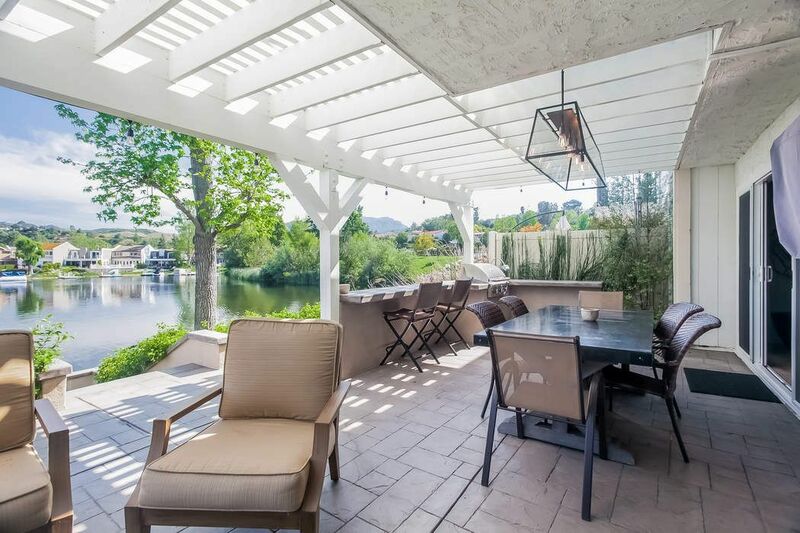 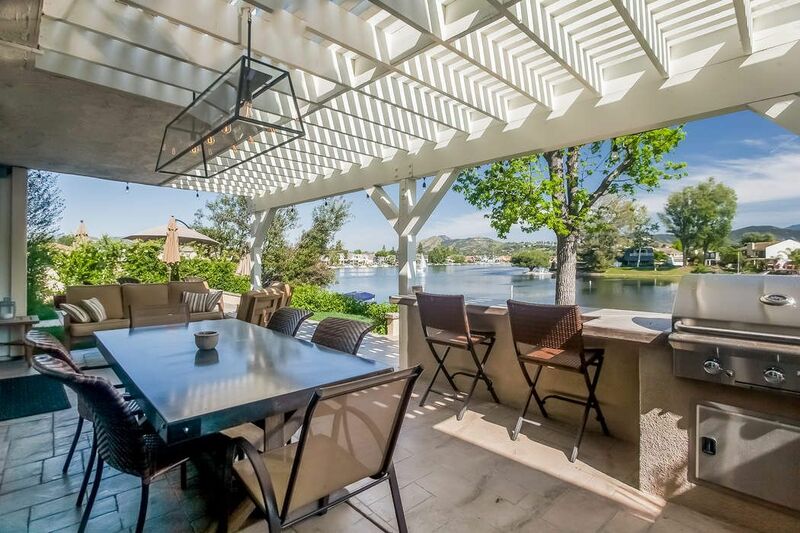 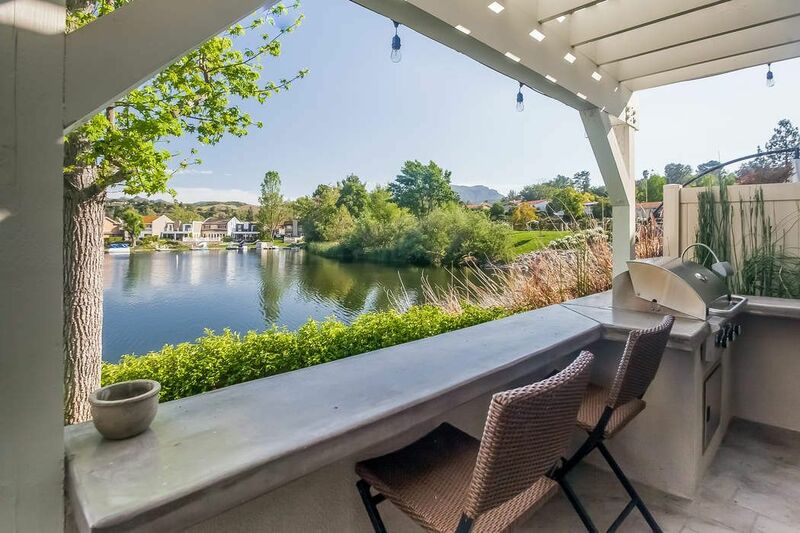 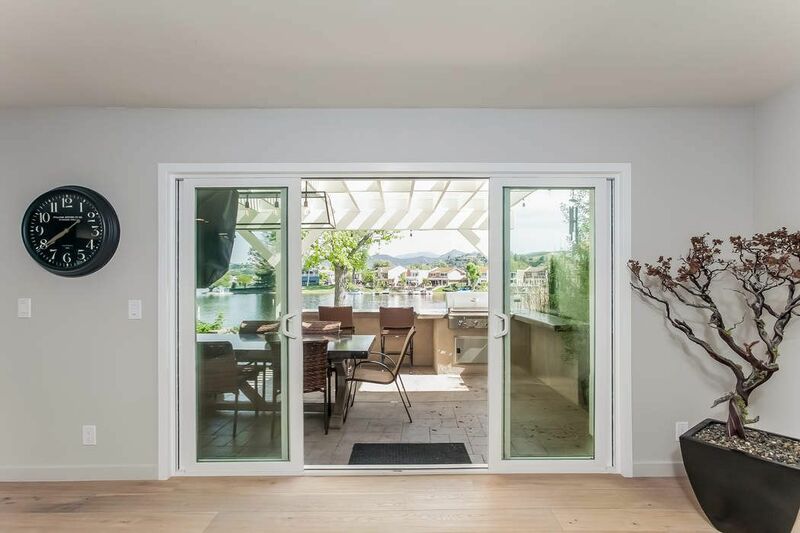 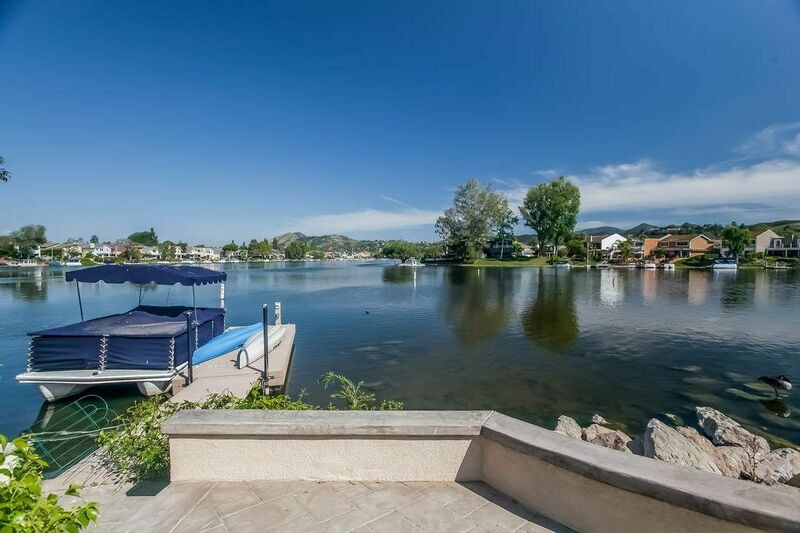 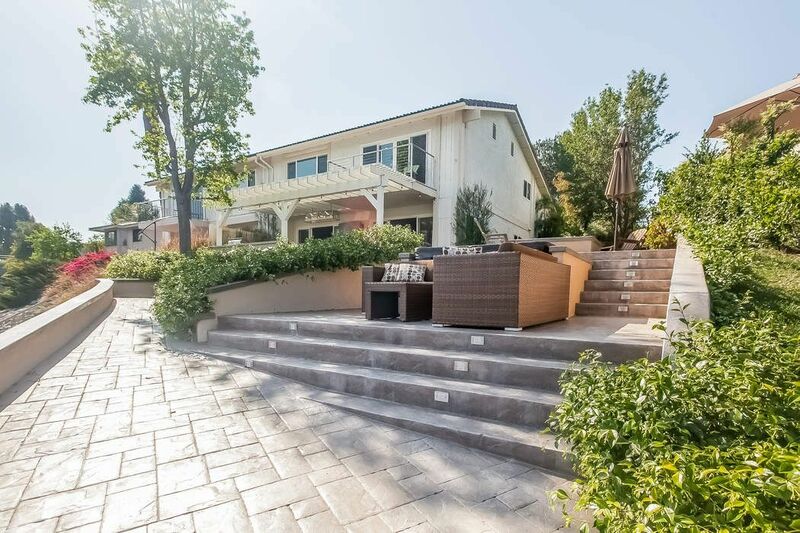 ft.
Westlake Village home with spectacular lake and mountain views. 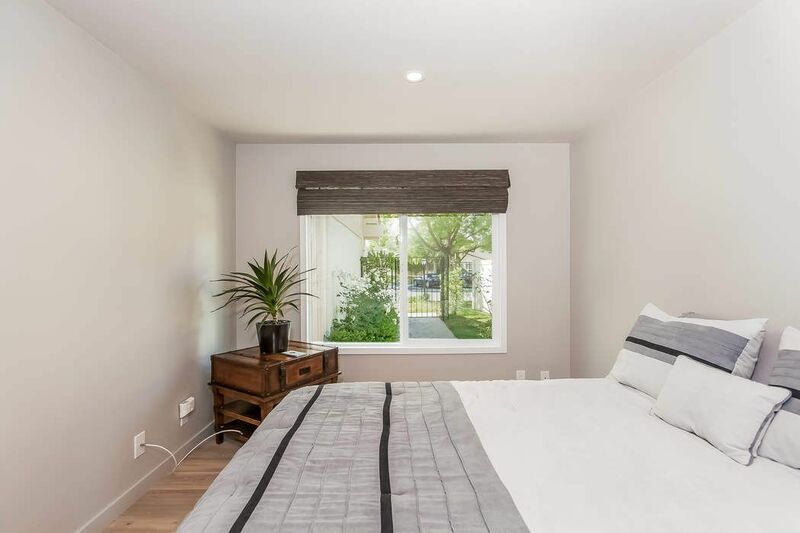 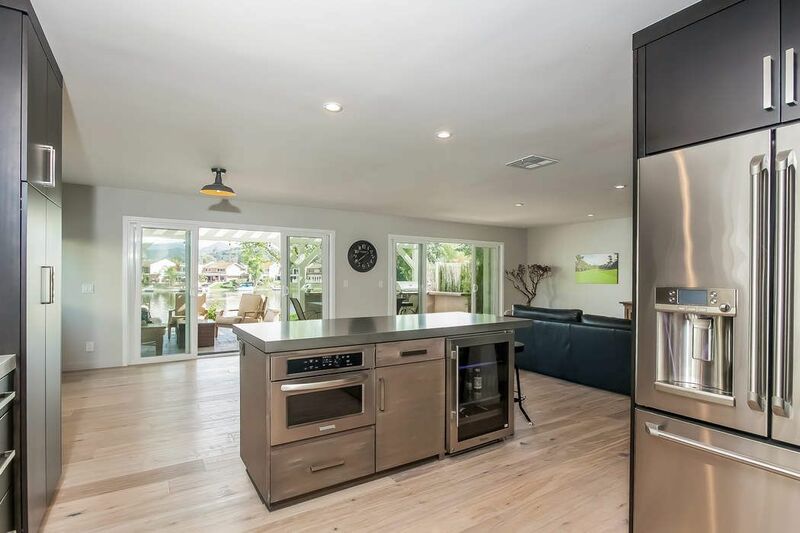 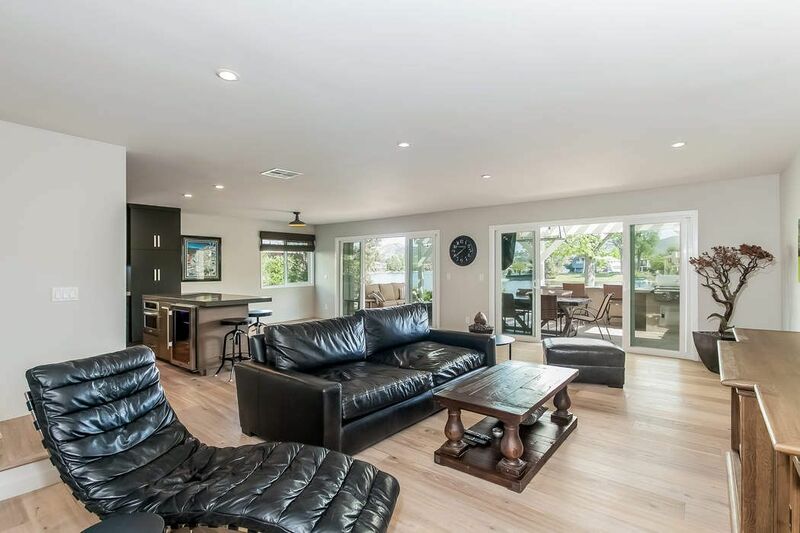 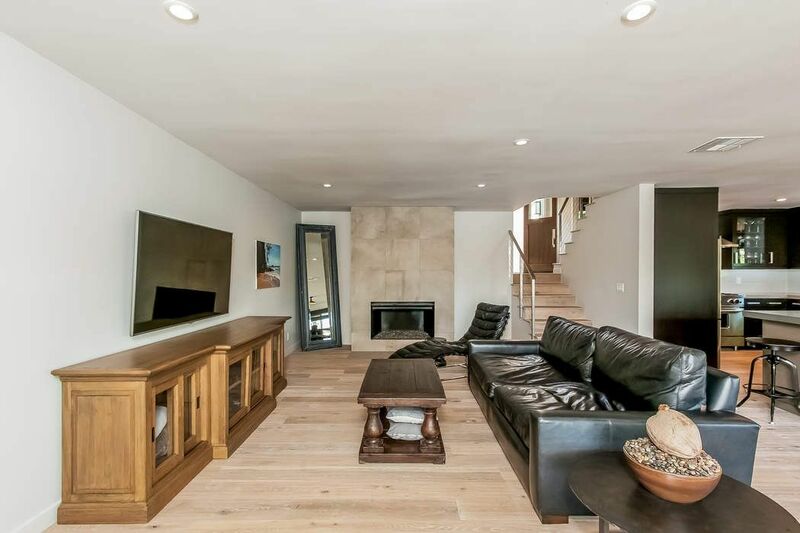 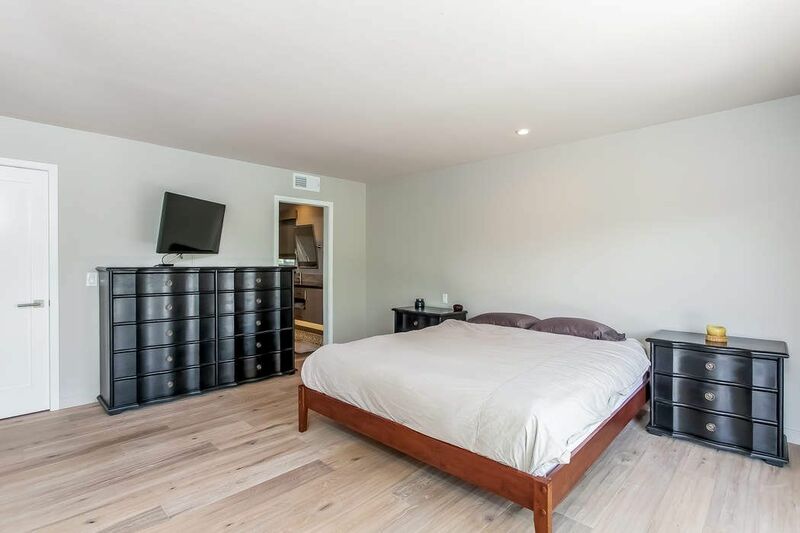 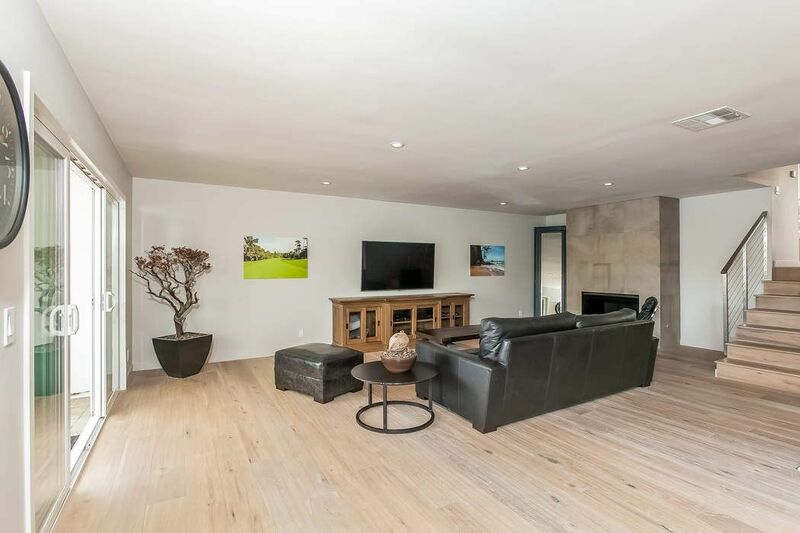 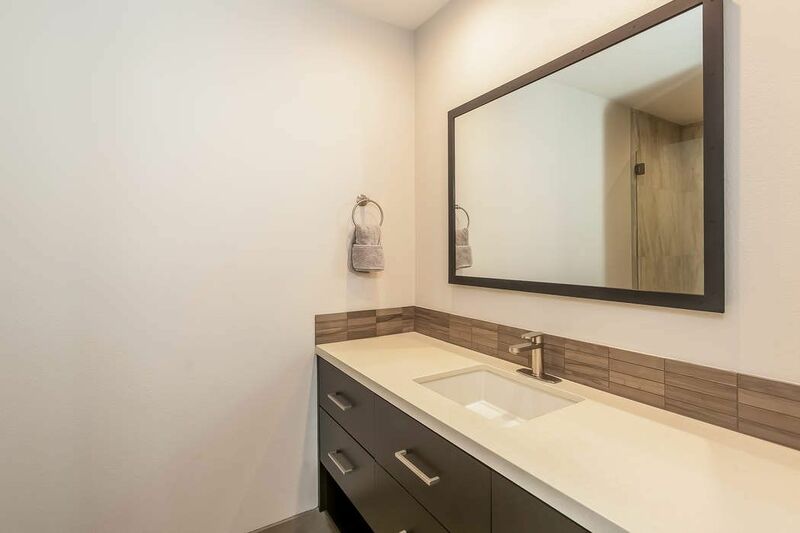 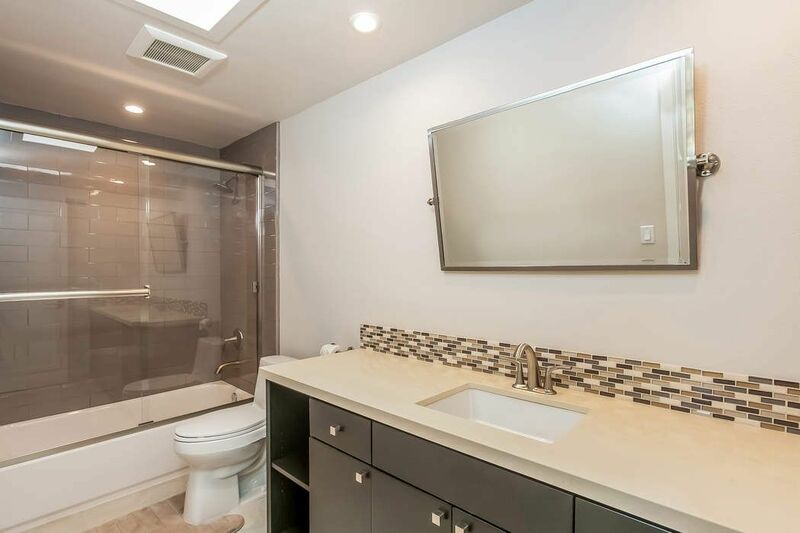 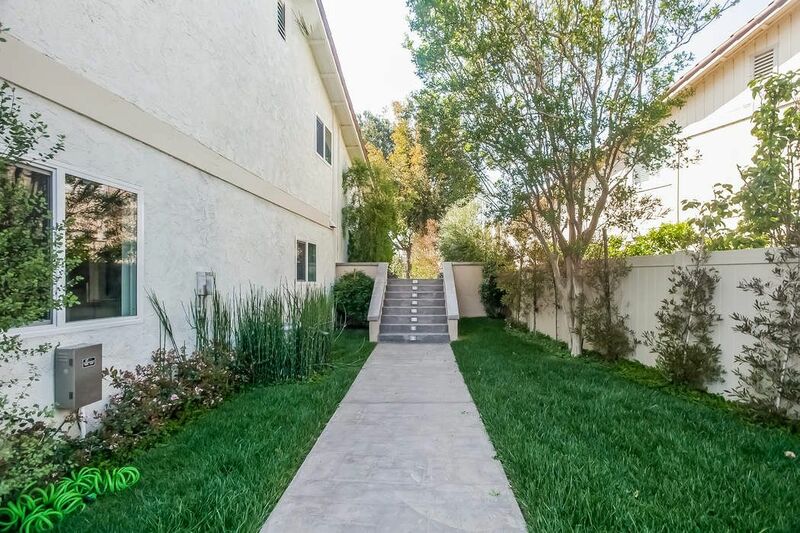 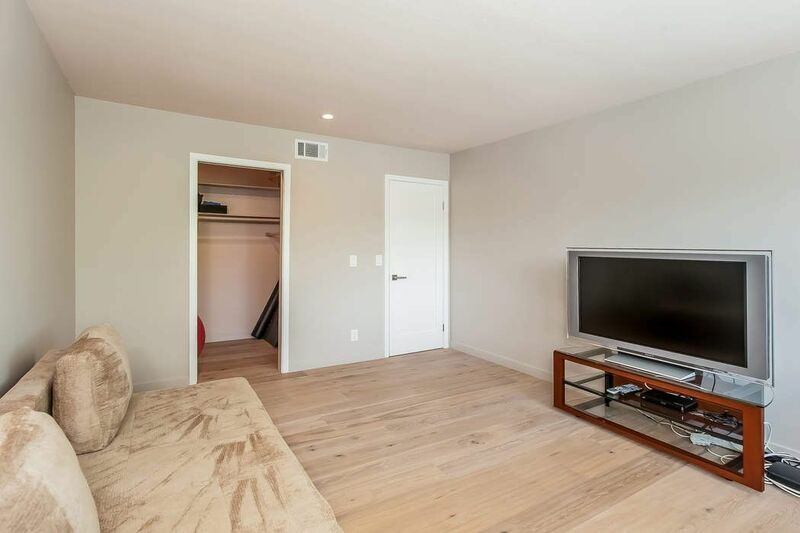 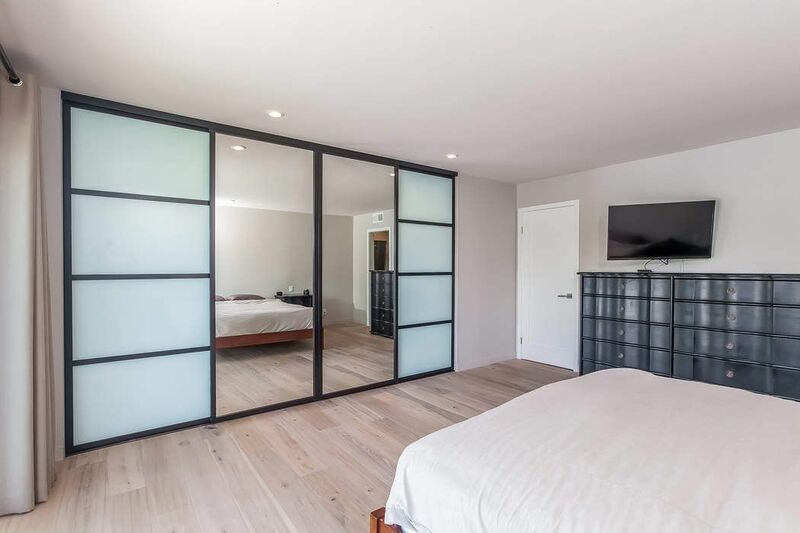 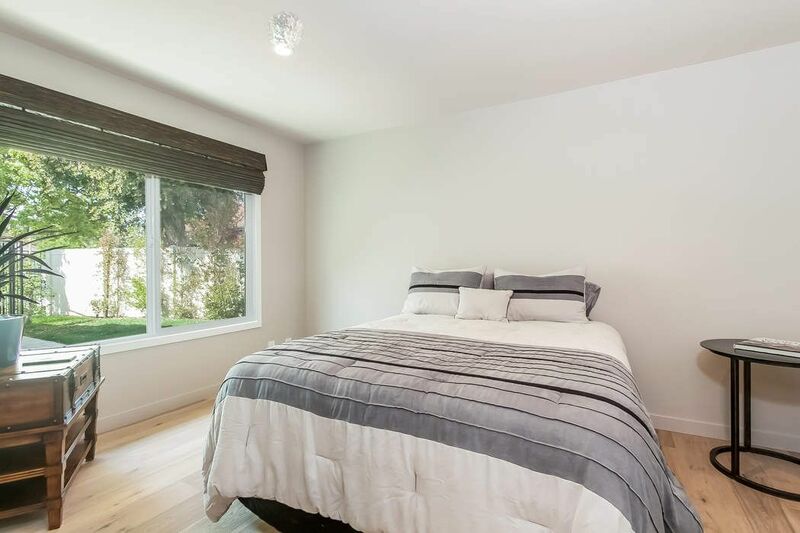 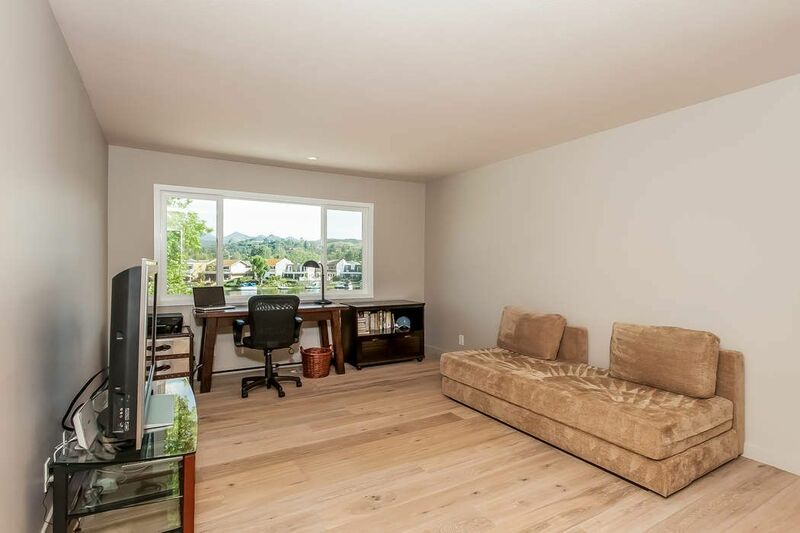 This gorgeous 3 bedroom, 3 bath, contemporary home has been completely remodeled from the bottom up. 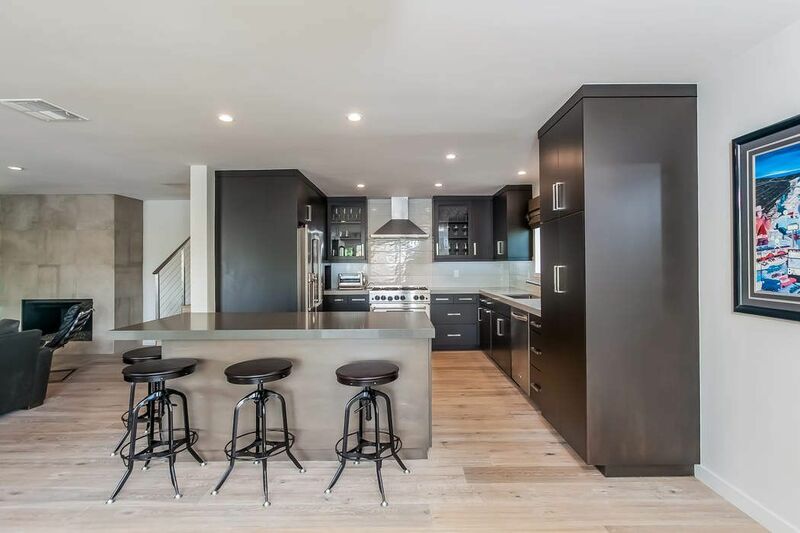 Gourmet kitchen, new quartz countertops, center island which also serves as a breakfast counter, wine cooler, beautiful wood cabinets, stainless steel appliances, great room, dining area and living room with fabulous floor to ceiling fireplace. 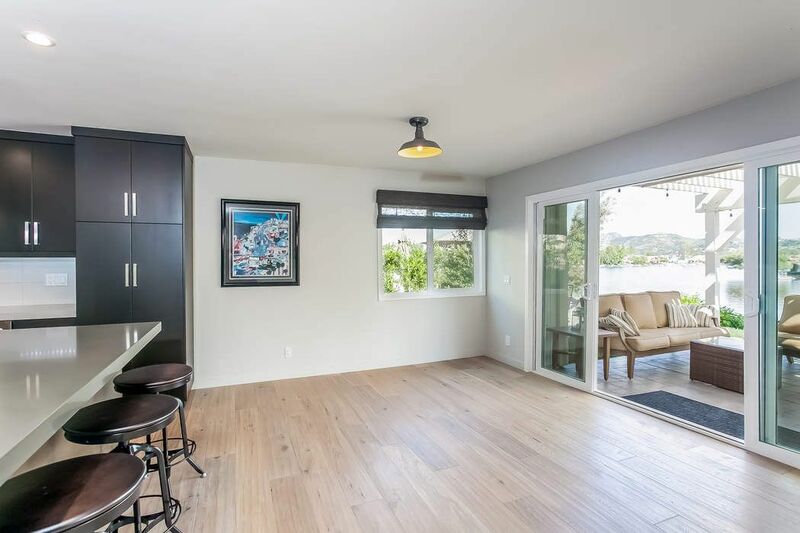 Beautiful engineered wood flooring and recessed lighting. 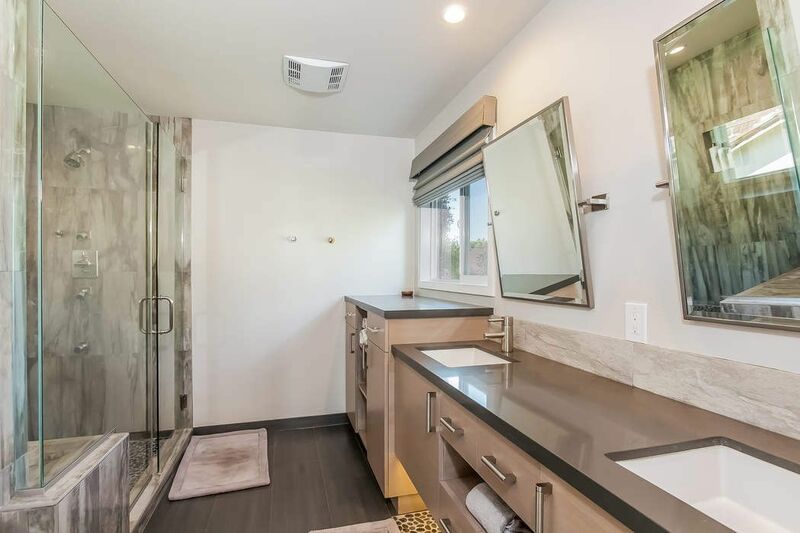 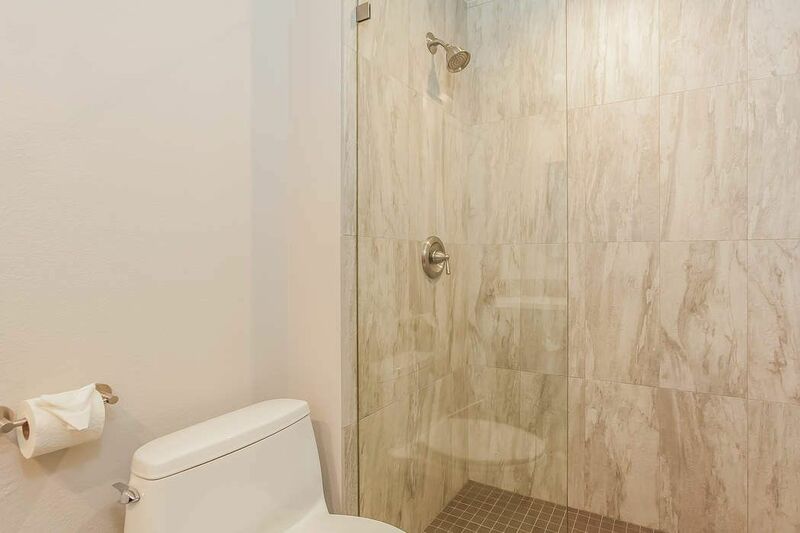 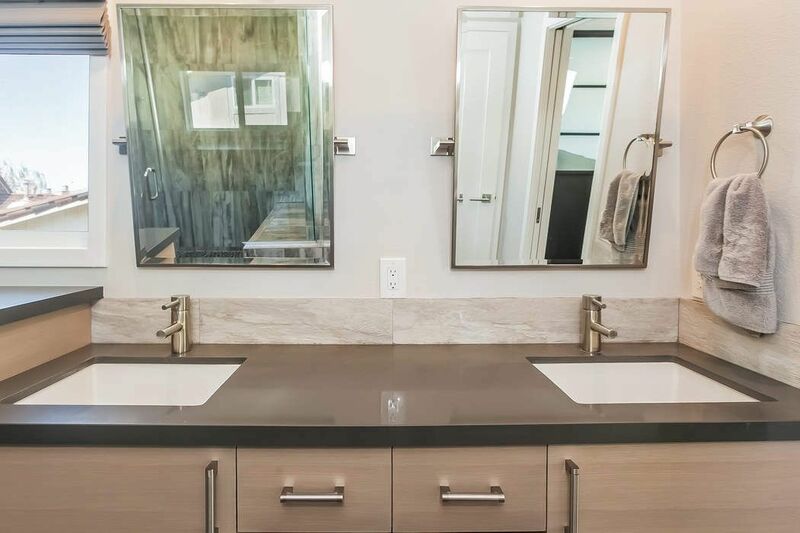 All baths have new quartz counters, cabinetry and porcelain tiled showers. 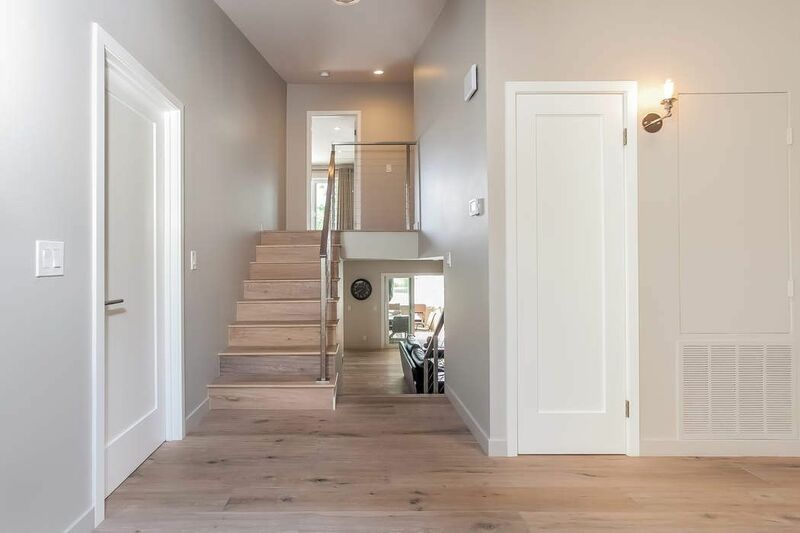 Stainless steel designed stairwell railings lead up to the custom master suite, balcony, and bath. 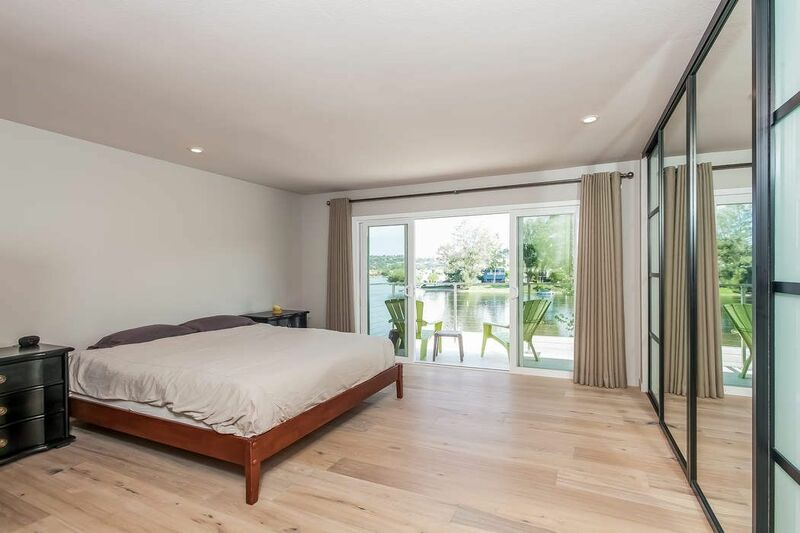 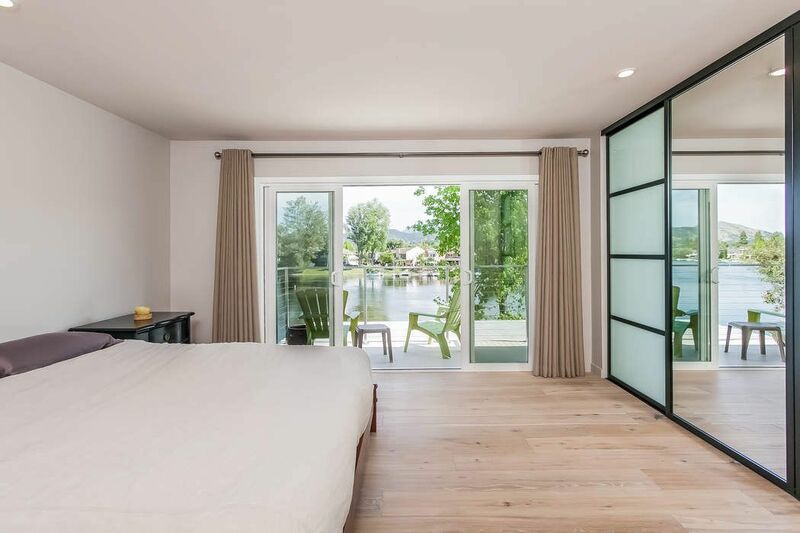 Master suite and second bedroom have the most gorgeous main channel water views imaginable! 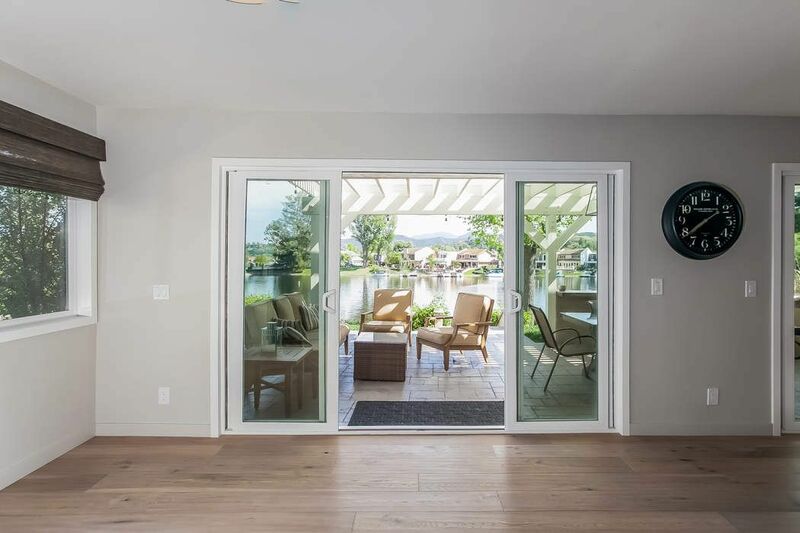 Two sliding glass doors from the grand room open to the magnificent lakefront patio area with built-in bar, BBQ and flat screen television. 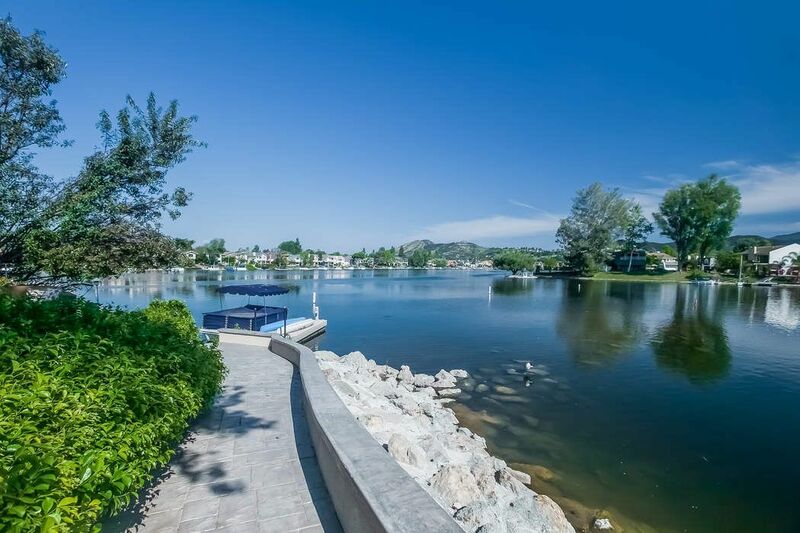 Huge grassy side yard, entertainment patio with fire pit, spa and boat dock, all overlooking the beautiful lake and mountain views. 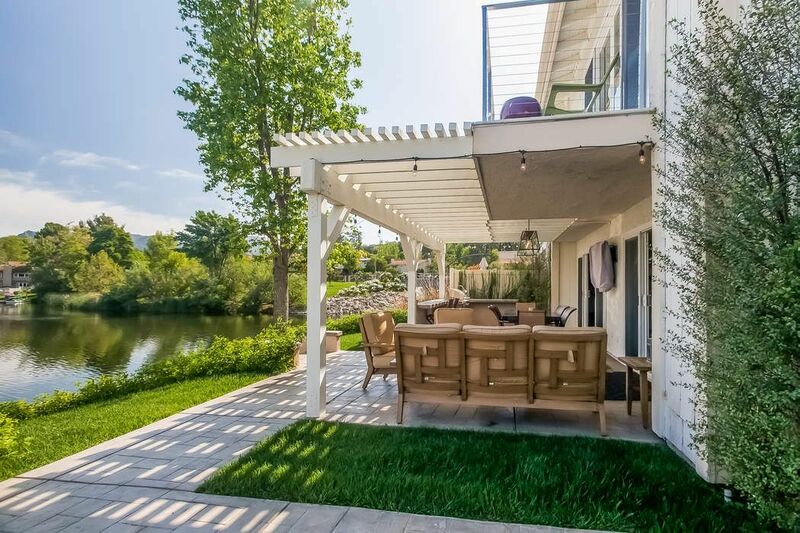 Community pool, and spa are part of the amenities. 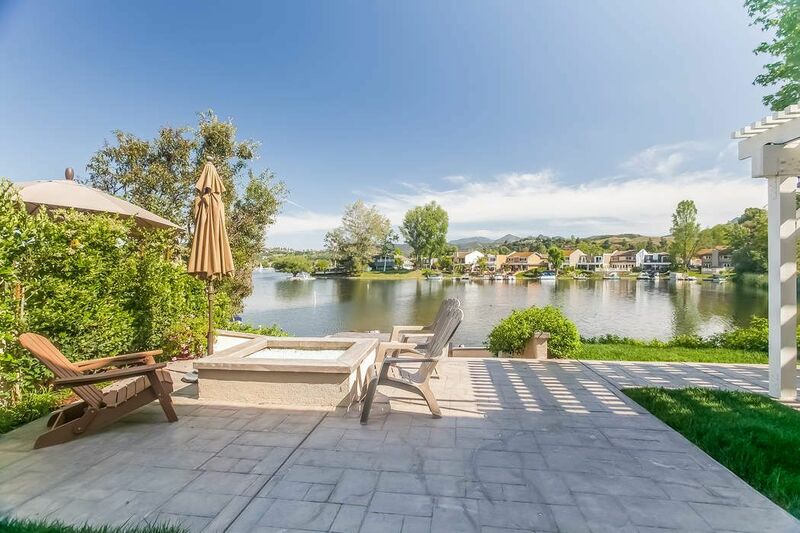 Enjoy this serene resort style lifestyle with fishing, boating, bird watching and lakeside dining. 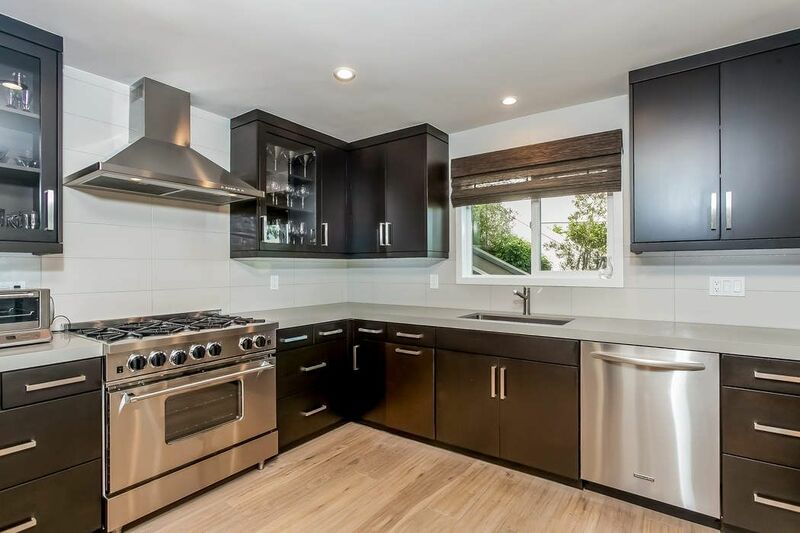 This designer home is turnkey ready!